With few providers offering insurance-focused cloud services, cloud computing is yet to be widely adopted by small insurance companies. Changes are afoot however as, increasingly, small insurance companies are becoming aware of the huge potential benefits of the cloud. Here is a look at how small insurance company cloud computing can be immensely beneficial to SMB insurance operators eliminating the need for expensive on premises IT. Subsequent to the emergence of cloud computing, cloud service providers have been investing large sums of money in the development of data centers and cloud infrastructure. 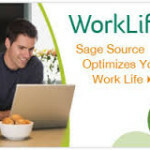 By doing so, cloud computing providers cut their costs significantly and make computing services more affordable. Small insurance company cloud computing does not requirea large capital investment, and small insurance companies can save substantially on IT infrastructure, equipment and labor while upgrading to the cloud. Small insurance company cloud computing removes the need for capital intensive on premises IT hardware, software and licenses, and enables small insurers to increase productivity with fewer employees. Cloud services can be purchased on a monthly or annual basis, depending on the tailored needs of small insurance companies. Even small insurance companies need to store large amounts of information. The cloud is an ideal computing option for such firms because it can store far more data than a typical in-house server. Small insurance company cloud computing provides virtually unlimited data storage capacity and eliminates any requirement to upgrade computer hardware, reduces the overall IT cost. Until recently most insurance companies opted to keep their IT in-house. Now though, it has become quantifiably cheaper to store data offsite, and vastly more secure. Cloud computing can enable small insurance companies to perform a wide range of tasks more efficiently, including policy and claims processing, billing administration, damage estimation and more. Small insurance company cloud computing also enables a quicker response to customer service and claim needs as well as unexpected business changes. Because cloud-based data is stored online, employees of small insurance companies can perform their work duties anytime, anywhere, as long as they have an Internet connection. It has historically been time-consuming to install, customize and maintain insurance systems. By moving to cloud computing, small insurance companies can set up a fully managed customized private virtual server and deploy software applications with ease, making rapid product and service launches faster than ever. With fully managed cloud-based private virtual servers, the integration and update of software applications occurs automatically, and small insurance companies can select applications and services that best suit their needs with heretofore unprecedented flexibility. Insurance company data that resides on the cloud is easier to back up and recover. Cloud providers are able to deliver secure and reliable backup and recovery solutions for small insurance companies to ensure rapid disaster recovery of data in the event of a system crash or worse. 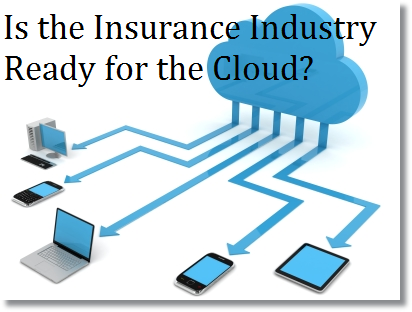 The Cloud is a potential boon for small insurance companies. It offers a lower-cost, increased security and efficiency and a more readily scalable mode of providing IT services for smaller insurance companies. There are several anti-cloud debates to consider but they are essentially the same arguments that are often heard when a disruptive new paradigm appears on the horizon – ‘It’s too limiting’, ‘It’s too dangerous , ‘We can’t understand it’, ‘It’s not too good to be true’, etc. The good news is that if you can cut through all the hype (including the negative hype) there are numerous benefits for insurance companies of all sizes,” concludes JMR’s Anthony Burke. As cloud computing technology continues to advance, it should not be long before it will be widely embraced by most if not all small insurance companies.